Adorable home in Port St. John area! 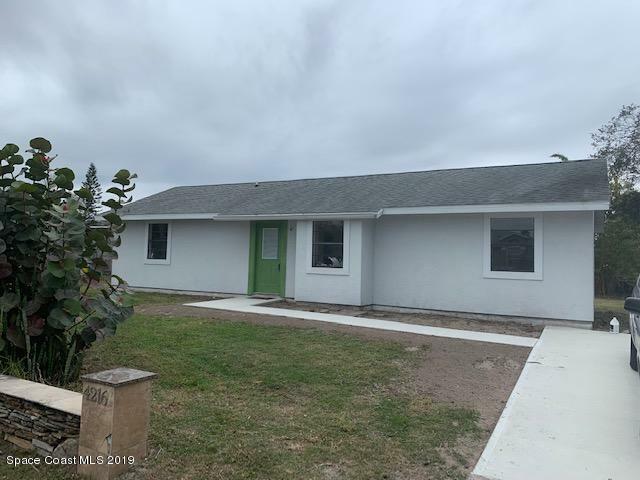 Tile throughout Open Concept home, 3 Bedroom split plan, with 2 baths, Newly painted inside, newly updated hall bath with vanity, toilet, tub/shower, Newer inside A/C unit in 2017 with transferable warranty, outside unit new in 2013, Roof in 2004, Water Heater in 2017, New Kitchen Sink and Faucet, New Refrigerator and Stove, Indoor Laundry Room with Washer & Dryer Hookup, Huge Backyard with Shed and built up pad can use to build outbuilding or park RV, good Schools, not far from I-95 to get to Airports, Disney, Beaches, etc. Great little starter home or retirement home! Come see this little gem!